Why Web Design is not Cheap?? As technological improvements have made web design affordable and easier but the excessive cut costs may also leave your website neglected and ailing. In today’s competitive market place, you must come up with an attractive and updated website otherwise there is a chance of failing miserably. In Clickpoint Solution, we believe that ‘Good work ain’t cheap and cheap work ain’t good’. We charge what we deserve i.e for our customer service, programming skills, design capabilities, effective copy writings etc. As we know, we wouldn’t build a house without a proper planning or blueprint, the same applies to website designing. Pre-planning of user experience is the most important aspect of web presence and websites should support lead generation and client retention. So the planning phase takes time and resources but it’s worth to apply it for your future business. Before starting of a project we usually make a thorough research on the industry, competitors, expectation of the end users. This will give us a competitive edge to create an ideal design & development. We always keep in mind that your website should be easy to use and look contemporary for minimum 3 years. Though the tools (WordPress theme, Web hosting) themselves are getting cheaper but our trained and professional web developers are able to make premium websites as per the best web standards. We understand Website maintenance is important to any business, regardless of size, industries, type of business. Though it’s an easiest part for a typical site but it takes 30-45 hours to complete. 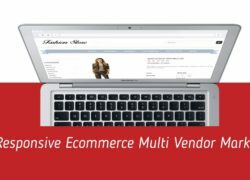 It includes complete design integration, setting up all ecommerce components such as setting up extra pages, shipping, merchant, SEO integration etc. We feel the website is not combination or images and coding, but from marketing stand point it should be able to convert your website visitors into a sales or deal. In Clickpoint Solution, our web developers do full browser testing as well as make it sure that CSS and HTML are valid. We know, this takes many hours as well. We test on a MAC and on a PC in all browsers as well as place several test orders using a variety of situations. Testing is the step that many web developers skip in order to save time and resources but we give testing same importance as designing. 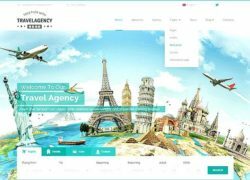 Being one of the leading web design & consulting company in India, we spend many hours on our resources for educating and updating them on latest trends in design and technology. When we keep up with new trends, we can better create a site with features as per your industry. These are the things that make website design expensive which as a client you may not be aware of. Things To Consider For Choosing Free Themes for WordPress Development.